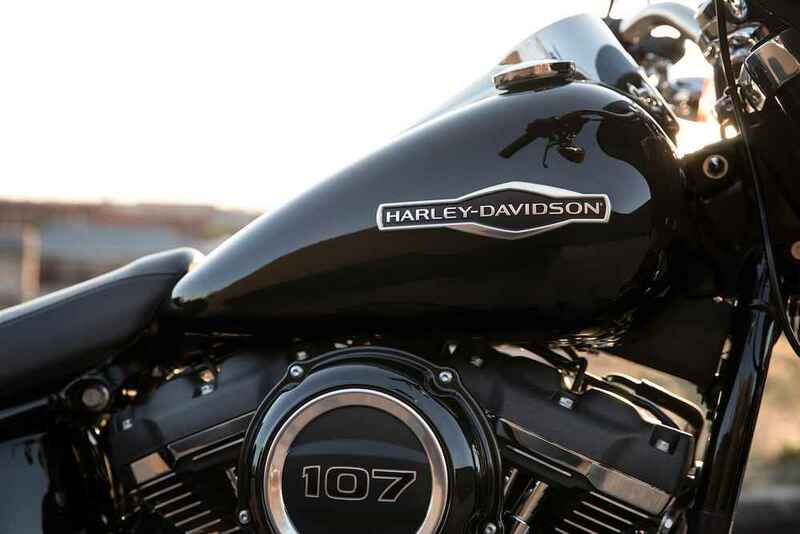 A blacked-out Milwaukee-Eight® engine, aggressive black machine highlighted "Mantis" cast aluminium wheels, and black mufflers give the Sport Glide™ a stealthy style. 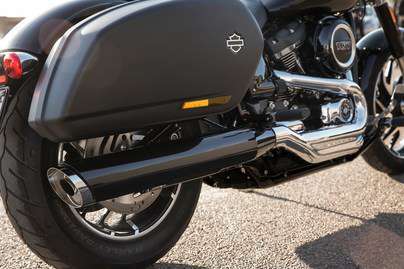 The quick detach front mini-fairing allows for an attitude change on the fly. 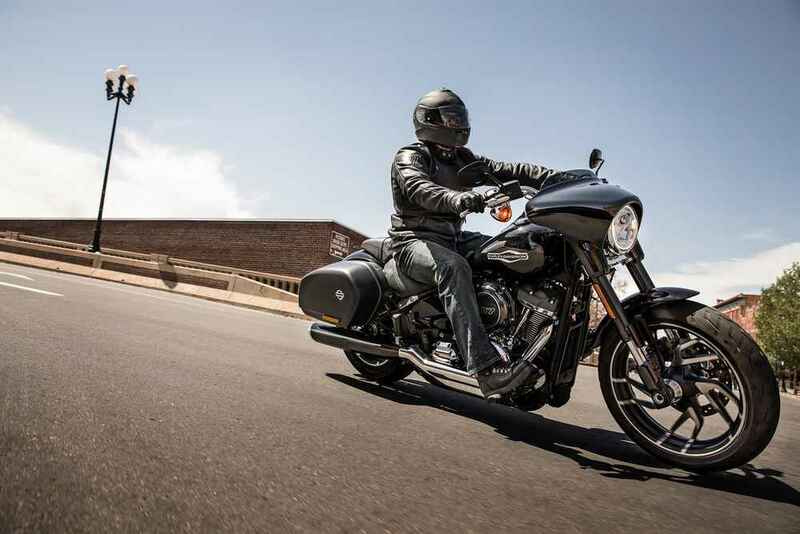 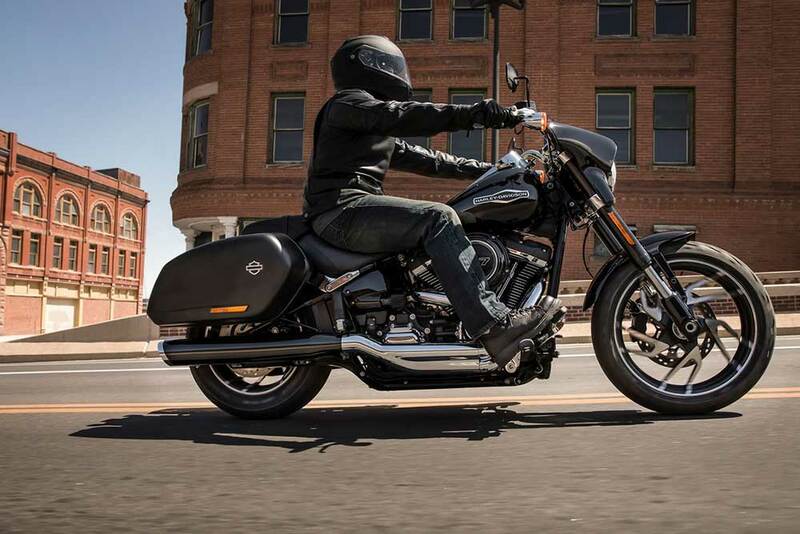 Put it on for more comfort on a long ride, or remove it for the stripped-down cruiser style. 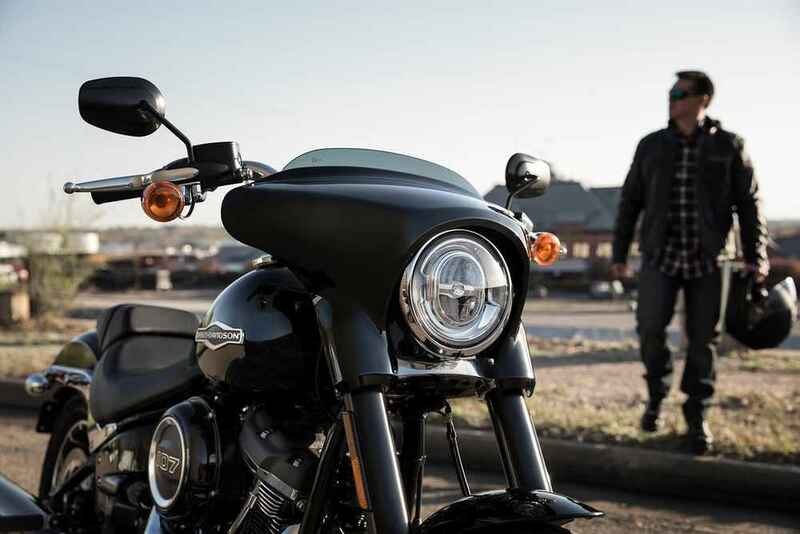 It'll take the wind off the rider's chest while allowing the air in your face. 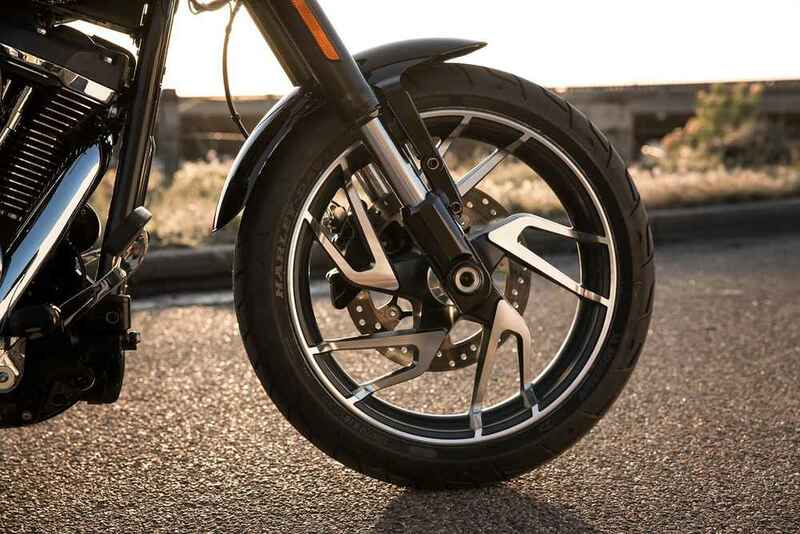 Inverted front forks and a rear mono-shock with external preload adjustment give you the ability to customise your handling profile for any situation, including cargo and/or passengers. 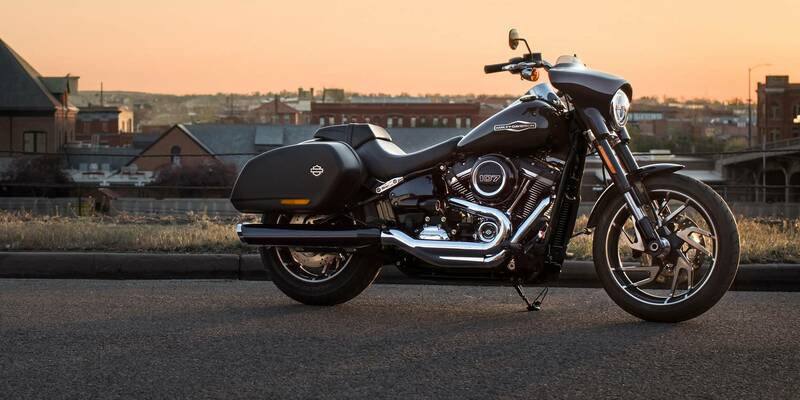 The Sport Glide™ motorcycle rides on the reinvented Softail® frame which makes for a lightweight, nimble ride you have to feel to believe.